Flour Mayhem: Brownie + Cheesecake = So Bad It's Good! 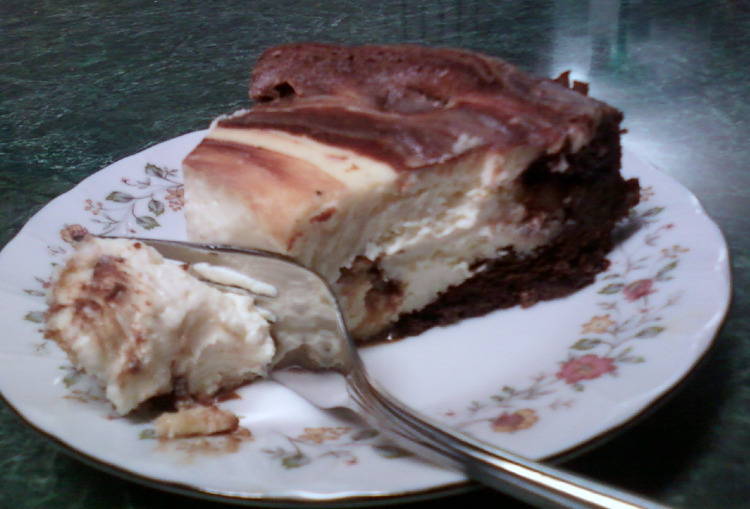 Brownie + Cheesecake = So Bad It's Good! Who cares if you didn't eat all your peas, or if you decided to eat your noodles later and have a slice of cheesecake first. It happens. And this bad boy was not waiting.. I'm not gonna say who, but I heard someone ate a piece of this for breakfast yesterday. I wonder who! Without a doubt, this cheesecake is delicious! No wonder it was the first to go.. So sad to see you leave, but LOVE to see the people eat you and get a big ol' smile on their faces. I'll post the recipe when I get to the house.. Wipe that drool off your face and check back later! I think you have produced a LOT of smiles with your cheesecake! !